Choose from 7 different languages from the comprehensive audio guide provided for you! We loved every minute of our trip! The kids had fun playing in the snow up the 4th station in Mount Fuji. Buffet was great too- a lot of dishes to choose from. Irene, our guide, was very pleasant and made sure we were on time. Mount Fuji remains as one of Japan's most iconic symbols. This bus tour takes you to some of Mount Fuji's best scenic spots that gives you a true experience on this magnificent mountain. Departing from the meeting point in Shinjuku, you'll first head to Lake Kawaguchiko. This is one of the mountain's five famous lake, with that picture-perfect mirror reflection of the mountain on its waters. Then you'll spend some time in the Oshino Hakkai, or the Oshino Eight Ponds. These pools of spring water all come from Mount Fuji. Enjoy the fantastic sight - splendid views of the peak, and full of traditional, rural scenery. You'll even get to try some fresh fruit and food before heading to Oshino Shinobi no Sato, otherwise known as the Ninja Village! You'll be able to take photos with a ninja as you enjoy a Japanese style lunch. 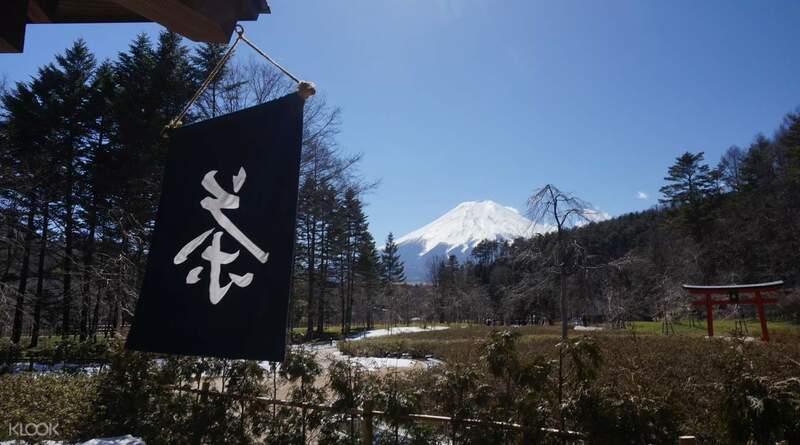 You'll head up to the 5th Station of Mount Fuji from here, which is where you'll get the closest possible look of the mountain and all its splendor. You can even stop over at the Shinto shrine to pay your respects. 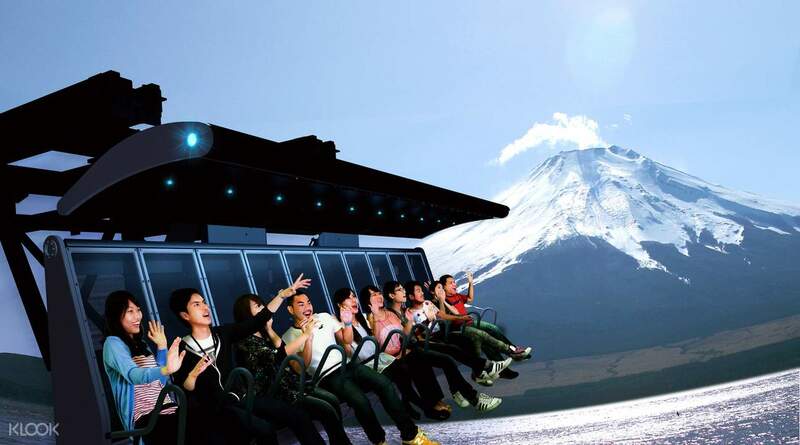 A stop at Fuji Airways takes on a 4D experience that allows you to experience the finest views of the mountains and its foliage, picturesque in every season. Get to fully appreciate this mountain's beauty before heading back to Tokyo! 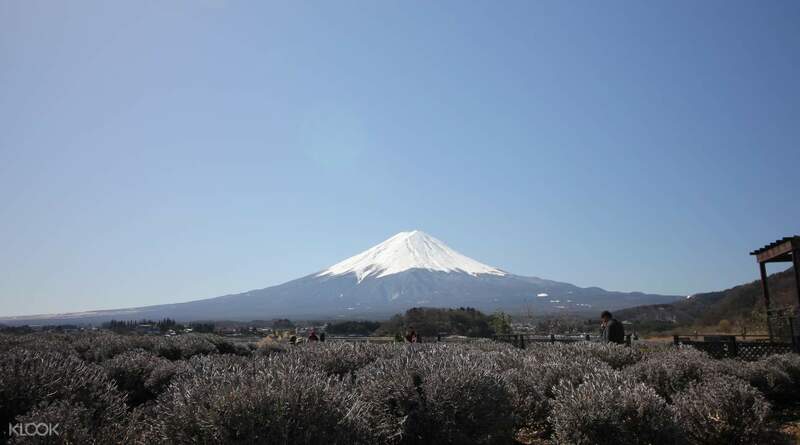 See the best of Mount Fuji all in one day trip! 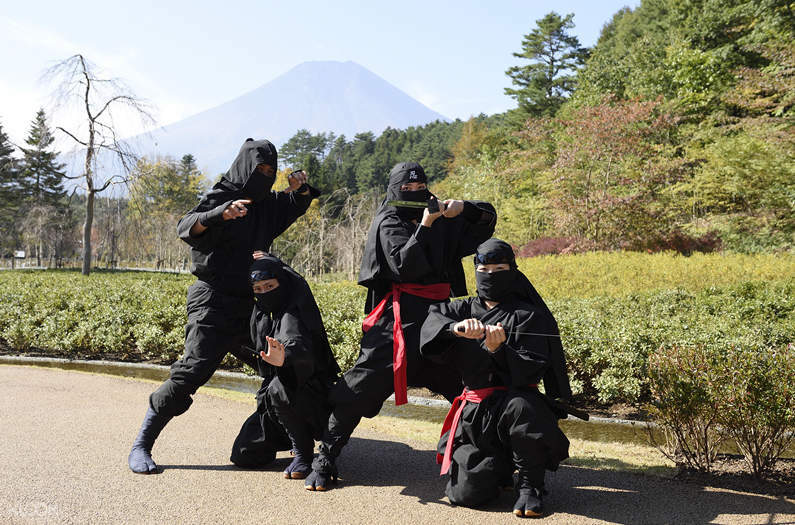 Visit the Ninja Village and take photos with a real ninja! A great, fun and relaxed tour as you would spend most of your time on the bus. Long travel time because of distance to and from the city, we get to spend 20-30 minutes per stop with maximim 1 hour on another stop to shop and take pictures. Our guide, Jane, was very accomodating and helpful all throughout the trip giving us informations about the places where we're going to tips on where and what to buy to helping us take pictures. I would also recommend including lunch from ninja village on your itenerary. A great, fun and relaxed tour as you would spend most of your time on the bus. Long travel time because of distance to and from the city, we get to spend 20-30 minutes per stop with maximim 1 hour on another stop to shop and take pictures. Our guide, Jane, was very accomodating and helpful all throughout the trip giving us informations about the places where we're going to tips on where and what to buy to helping us take pictures. I would also recommend including lunch from ninja village on your itenerary. It was the highlight of our Japan holiday. We were very fortunate that the day was just perfect for the tour. It was quite fast paced because you get to see and experience a lot. Our English speaking tour guide Mario was very knowledgeable and made sure everyone was having fun. Lunch was good but we hurried because we decided to watch the ninja show . It was both funny and entertaining. I was a little worried about the 4D Mt Fuji ride because we were with an elderly aunt.But she really enjoyed it. These, plus the majestic beauty of Mt Fuji made our trip so worthwhile. I highly recommend this tour. It was the highlight of our Japan holiday. We were very fortunate that the day was just perfect for the tour. It was quite fast paced because you get to see and experience a lot. Our English speaking tour guide Mario was very knowledgeable and made sure everyone was having fun. Lunch was good but we hurried because we decided to watch the ninja show . It was both funny and entertaining. I was a little worried about the 4D Mt Fuji ride because we were with an elderly aunt.But she really enjoyed it. These, plus the majestic beauty of Mt Fuji made our trip so worthwhile. I highly recommend this tour. wonderful trip! the spots we visited are also iconic and enjoyable. Each stop provided a different experience and side of Japan. Our tour guide was also great, entertaining and very kind. She is also very knowledgeable and was able to give us awesome facts about each place we visit. wonderful trip! the spots we visited are also iconic and enjoyable. Each stop provided a different experience and side of Japan. Our tour guide was also great, entertaining and very kind. She is also very knowledgeable and was able to give us awesome facts about each place we visit. This was such an incredible day and I was fortunate enough to visit Mount Fuji when it was completely visible. I was wanting to do a tour so that I didn’t have to travel alone and waste time trying to reach places without much guidance, and this tour provided me with everything I needed and got me to all of the places I wanted to see. My group had two incredible tour guides, one being Blair from Melbourne Australia, and the other being Yuji from Japan - who could speak English as well as Spanish! They were both so knowledgeable and we were extremely efficient with our time management which allowed us to have a great time and also get to see everything and get back to Shinjuku on time. I would also definitely recommend upgrading your lunch! There’s only one other place around the area but the lunch is really another experience in itself. This was such an incredible day and I was fortunate enough to visit Mount Fuji when it was completely visible. I was wanting to do a tour so that I didn’t have to travel alone and waste time trying to reach places without much guidance, and this tour provided me with everything I needed and got me to all of the places I wanted to see. My group had two incredible tour guides, one being Blair from Melbourne Australia, and the other being Yuji from Japan - who could speak English as well as Spanish! They were both so knowledgeable and we were extremely efficient with our time management which allowed us to have a great time and also get to see everything and get back to Shinjuku on time. I would also definitely recommend upgrading your lunch! There’s only one other place around the area but the lunch is really another experience in itself. We were 14 and was almost half the group, from a 6yo to a couple of 70yo's. Hide San was very understanding and always smiling, making sure no one gets left behind. My entire family enjoyed the trip very much especially since we were luck to reach the 4th station and experience snow for the first time! This really made my brother's birthday extra special. Thank you and hope to see you in the 2020 olympics! We were 14 and was almost half the group, from a 6yo to a couple of 70yo's. Hide San was very understanding and always smiling, making sure no one gets left behind. My entire family enjoyed the trip very much especially since we were luck to reach the 4th station and experience snow for the first time! This really made my brother's birthday extra special. Thank you and hope to see you in the 2020 olympics! I would like to thank KLOOK sincerely for the amazing, unique and tremendous experience. But this tour wouldn’t have been great if it wasn’t for the kind, helpful and professional tour guide Levin. He was extremely helpful, organized and fun despite the part of not having enough time to explore and enjoy some part of the trip, he remained entertaining and professional. I highly recommend thisif it would be your first time in Japan and considering a tour leader. Thank you and huge applause to Levin! I would like to thank KLOOK sincerely for the amazing, unique and tremendous experience. But this tour wouldn’t have been great if it wasn’t for the kind, helpful and professional tour guide Levin. He was extremely helpful, organized and fun despite the part of not having enough time to explore and enjoy some part of the trip, he remained entertaining and professional. I highly recommend thisif it would be your first time in Japan and considering a tour leader. Thank you and huge applause to Levin! Awesome trip. Luckily we got to see Mount Fuji as not everyone gets a clear sky. The lunch was amazing with a mini hotpot for each person as well as a full buffet with lots of dishes. Wish we had more time at the ninja village as they had some obstacle courses and we didn’t get time to do them all. But it’s understandable as they fit so many things on the trip from the lake to the motion simulation ride at Fuji Q park. Overall a recommended itinerary. Awesome trip. Luckily we got to see Mount Fuji as not everyone gets a clear sky. The lunch was amazing with a mini hotpot for each person as well as a full buffet with lots of dishes. Wish we had more time at the ninja village as they had some obstacle courses and we didn’t get time to do them all. But it’s understandable as they fit so many things on the trip from the lake to the motion simulation ride at Fuji Q park. Overall a recommended itinerary.